VSCO, Mastin Lab Presets, Florabella, and Pretty Presets. If you've looked for advice on retouching in the last few years, you've probably been recommended one of these preset and action systems at least once. They're designed to give you beautiful film simulation and color tones to make your images look great using a single click of the mouse - and I hate them all. Before I get too far into this rant, I do want to admit my own guilt. I've certainly used VSCO and similar preset systems in the past. Culling through 3000 wedding photos in Lightroom and editing 600 of them is no easy task, and anything that can help simplify the process is a huge asset. Using VSCO and other systems is a great way to speed up your process, and your time is valuable, so by all means, speed it up when you can. That said, our addiction to these systems needs to be tamed. Secondly, VSCO is singled out on the title solely because it is easily the most popular preset system available for photographers. Between mobile apps, Lightroom presets and 6 different packs of filters, VSCO has turned the film emulation presets game into a science. This article isn't designed to address VSCO solely, but using them as a face for all filter systems available for photographers. Perhaps my biggest issue with all of these presets is that it makes you into a cookie cutter photographer. We all have access to these same algorithms, and as a result, it's easy to make your images look exactly like everyone else. Consistency is good when you're presenting your work, and preset systems will provide you with a very consistent style and look, at a huge sacrifice - uniqueness. And I hate the "We'll fix it in post" mentality. I like to think that my skills as a photographer come from my skills with a camera, not with my skills with a Wacom pen. 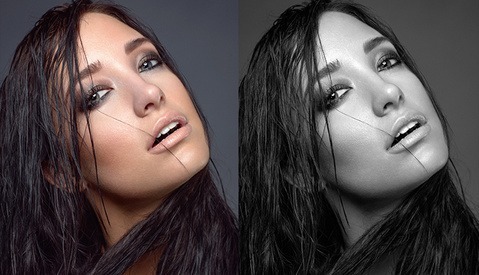 However, a lot of my personal style of work comes from retouching. It's a process that takes a lot of time (sometimes more than shooting does), and allows me to tweak and colors or contrast that is identified with my work. To me, using one click presets is a lot like shooting in Auto, or Av mode. Sure, you'll get a lot of great photos out of it, but it's not usually the best solution. Perhaps my distaste for preset systems comes from my own stubbornness more than anything. One thing I learned a long time ago is that there is no such thing a shortcuts. If you want to be successful - in anything you do - you're going to have to work for it. And you're going to have to work at it more than the next guy. All of my retouching techniques were learned because I wanted to become better. I wanted to be successful, and show off photographs that others weren't able to create. I wanted to be the best in the business. And as a result, I know Photoshop. Nine times out of ten, I can look at a photo with a specific toning to it, and with enough time, can emulate that style with accuracy. This skill wasn't learned through clicking a series of actions or presets until I found one that looked right. This was done by adding gradient maps, selective coloring layers, dodging and burning, and then trashing it all to approach it with something new. The easiest solution to separating yourself from these preset systems is to learn the functions within Lightroom and Photoshop. One hell of a homework assignment, eh? Certainly the tools within Lightroom and Photoshop are expansive, and you could spend a lifetime learning all the hidden tools within the system. But through that education, you'll have a better understanding on how to approach your images, and grow considerably with your own photography. And growth is good. Acclaimed author Malcolm Gladwell once said that it takes 10,000 hours to master anything. This statement has been largely regarded as a wise way of looking at things, so why not burn through a few of those hours in Photoshop? Solely using presets within your workflow is not going to make you better at retouching, and while you're pressing that easy button, others are getting a head start on their 10,000 hours. The only way to really grow in your skills is to challenge yourself. The greatest downfall with Photoshop comes in how completely immense and overwhelming it is. With the tools provided, the possibilities within Photoshop are endless, so finding your footing sometimes feels impossible. Here are a few tutorials that can get your started on finding the incredible power of Photoshop. The biggest asset within Photoshop comes from Layer Masks. Layer Masks, in short, allows you to selectively adjust parts of the image. Using these along side other adjustment layers, allows you to adjust brightness, hue, saturation and anything else selectively, giving your images those unique principles, but only where needed. 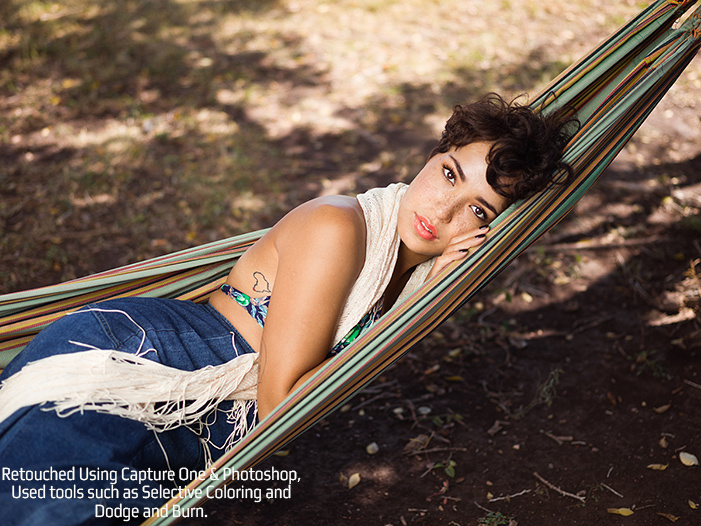 Blend Modes within Photoshop allows your stacked layers to interact drastically different from one and another. Using these Blend Modes taught photographers how to Dodge and Burn better, the power of Frequency Separation, and get exceptional results through pure experimentation. For learning everything about Blending Modes, there is no better book than The Hidden Power of Blending Modes by Scott Valentine. 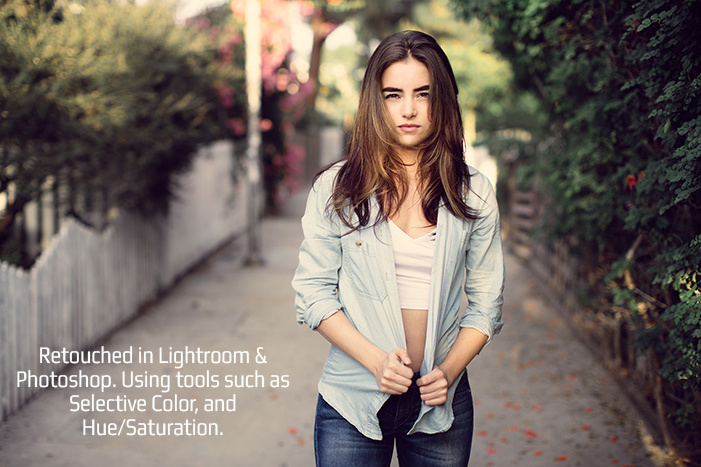 Using Selective Color adjustments, you're able to adjust individual tones within Photoshop. While the technique takes time, it's all done in real time, allowing you to see the changes you're making to the image. Mastering this tool will allow you to mimic the color tones within popular preset systems, and give you full control of the changes made. All this said, I own many of the VSCO packs and other preset systems. More often than not, I will have photos to retouch and I am still without a clear concept or color palette to use for retouching. Presets are a great way to quickly click through to find color grading that works well on the image, and some that do not. However, I'm never using them as a starting point, but rather, inspiration for my work that's being done in Photoshop. Like you said, it is all about saving time. I think using presets, whether they be pre made or ones you made yourself are a great starting point for a lot of people. I am definitely guilty, but the way I see it, is if something is saving me time taking a few steps out of the process why not? My issue with that is that your foundation is always the same, for every photo. Sure, you might be changing up different things with each photo, but you're still using the preset as the spine behind your work. I approach all of my work differently. Certainly I'm not going to retouch a wedding like I would a fashion editorial...which is why I hate going into anything with a preset. You are also dealing with a foundation that is always the same in the form of the brand camera and model version that you are using. The same goes for your initial RAW conversions, and especially so with those RAW converters that make hidden changes to your images that you can not zero out or undo. So it is wrong for a film shooter to prefer a particular stock? Or to only shoot black and white? As mentioned above, you're starting with a spine by picking a certain sensor, vsco is more than just a preset, but also a sensor calibration, which is a great way to get you out of the default adobe/nikon/canon colourspace. AND a great way to keep a consistent look throughout a set. You're implying one doesn't personalize the presets for a look that fits your vision. Myself and many of the photographers I'm friends with use presets like VscoFilm but manipulate them to become their own. And personanlly, I found the Vsco versions of your shots above more intriguing and with more depth of character than the other versions. So as usual, photography is subjective. Using VSCO has nothing to do with "saving time" it has to do with being lazy and not learning your craft. BAM! I shoot a good amount of weddings and haven't ever resorted to using vsco. I understand its just my opinion, but the fact that I created these images and edited them on my own is a heck of a lot more rewarding. I agree, it's much more rewarding. Saying that it has to do with being lazy and not learning your craft is a bit of a generalization in my opinion though. As a matter of fact, it was the opposite for me. I've purchased one pre-set ever, a little over two years ago. I bought it because at the time I did not feel confident in crafting a good black and white conversion, and I really liked the look of the preset. By using it, I was able to dissect the layers and effects of it, and teach myself what they do. It allowed me to start crafting my own conversions from scratch by giving me a better understanding of a certain process. I don't even like the look of that preset anymore, but still without it I wouldn't have started trying to craft my own conversions. Presets and actions can be used as learning tools, and I think this is something too often overlooked by many who are against using them. This sounds like a diatribe in the same vein as "People who exclusively use natural light don't know how to use strobes. Your comment actually proves that you know nothing. You realize that presets can not only give you a great base to start with, but it can actually save you time, which is a valuable thing if you ask me. How is working smart / efficiently make someone lazy and not know their craft? If anything, those who can do these things and save themselves time are indeed those who have mastered their craft. read that I said VSCO... not preset. read first, comment later. Thank you. I'm confused as to how VSCO and presets are different, they are in themselves presets, so I don't get your point. Achieving the look of VSCO isn't too difficult if you take the time, but convenience / time saving tools are more valuable to me then making 150 unique presets. You also get the added benefit of true custom camera profiles. Sure, I could spend a month shooting, developing, scanning, and editing different film stocks to figure out how certain color spaces work with certain stocks, but that's an epic waste of time and if i was doing that I'd sell my creations too. You sound A) Arrogant and B) like you have no idea what you're talking about. Educate yourself first, comment later. Thank you. VSCO is pre-made by another person/artist, not made on your own. A preset you can make on your own with your own knowledge and skill to conveniently edit quicker. I admit, yes... I am A) arrogant. Yet I do know very well what I am talking about because I don't need VSCO to edit my photos. No, it has to do with enjoying well done film emulation. Maybe you don't understand their ambitions. Or maybe you've just never shot film. Or maybe you just think you're god's gift to photography. Or maybe I just have more respect for those who learn their craft. ive learned my craft... yet i choose VSCO. im a photographer who enjoys to spend most his time shooting because thats what its all about..making the moments, not adjusting them. p.s. when the first DSLR nikon D1 came out in '99...all i heard was.... wheres the craft.... they dont take the time to do this or that, so they wont have the skill. blah blah blah. I have yet to use any kind of preset or action or anything really. I'll be the first to admit my retouching is dog-s**t slow but I like to really give each retouch the fresh start and clear palette it deserves. I think some presets might offer some neat starting points or even ideas but I have yet to see a preset that does better than what folks are doing manually with their retouching. I think it all depends on how you go about using the presets. I have seen many photographers just throw the filter on the photo and thats all they do as far as editing. I think that is just flat out lazy but I also have seen many photographers use a vsco filter, go in and change the filters preset settings and then go into photoshop and do a retouch and fix and tonal issues that the photo may still have. I think that is the proper use of the filters but the problem is people that use them how Sean said, just to be lazy and not learn the craft. I've taken a lot of my favorite VSCO presets and turned them into my own presets by changing a few things (contrast, shadow tint, yellows, and greens) to make them more unique. I think it's definitely lazy to just apply the stock presets and call it a day but different strokes for different folks. If people like VSCO style preset packs them go nuts. VSCO certainly works hard to emulate film stock and their success is well deserved, but we all understand that professionals aren't just clicking a preset and walking away from editing so whats to complain about? I honestly think if it wasn't presets, it would be something else that irks other photographers. It certainly sounds hip to bash VSCO lately. Your spot on. 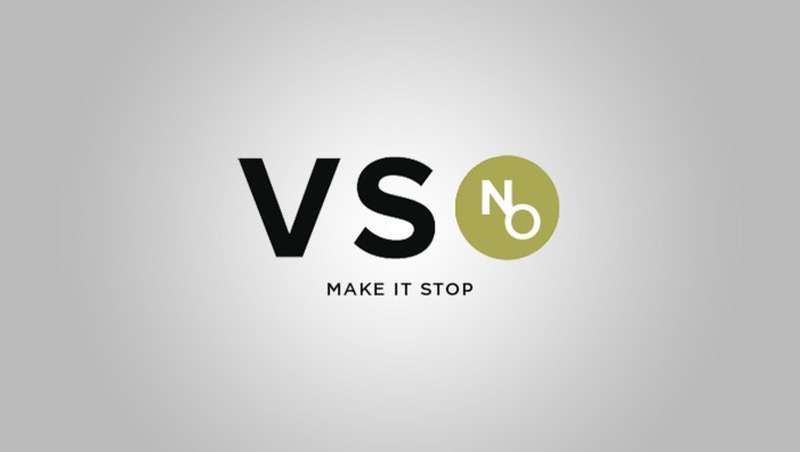 It's ironic that those who bash VSCO users and brand them as hipsters and this and that are actually the real hipsters trying to be "cool and unique" and break from the norm. lol. Send these clowns back to their over-retouched cheesy images, I'm doing just fine and my clients love what they receive. I wonder what this guy does when he shoots film (lol, what an assumption, clearly he doesn't), does he use some obscure brand, or does he create his own film altogether because Portra 400 is too popular? lol, how does Fstoppers allow these sort of people to create content for them, such a joke. Hire people with writing backgrounds please, your articles are getting worse and worse. I feel the same way about presents as I do about actions in photoshop. I have no problem using actions or presets that I have created as a general starting point to allow me to save time in my workflow or create images that have a consistent look, however simply using presets (or actions) created by someone else, with no knowledge of how to get there will only hurt you in the end. I know that many people, especially those who make heavy use of preset/quick fix programs will argue that it is the end result that matters, and not how you got there, but I would disagree. Both professionals and amateurs alike can create amazing images, and even get paid (sometimes well) to do so, but what separates them is that the professional will be able to create them consistently, with a wide variety of tools, and under most circumstances, while an amateur will be lost of their one way of doing something does not work. This is why it is important to know the fundamentals that make the presets possible. All that said, however, I do often use preset programs and the basic adjustments they allow when editing personal iPhone images as a way to get a more interesting look than the sooc phone images. I believe it all comes down to personal taste, really. VSCO presets allow photographers to emulate film looks and recreate a retro feel in their images. Thousands of people, including myself, love the simplicity and retro look of these filters. However, there is a problem when these presets are used in a photo - and that's it. No further color adjustments, exposure, nothing. People will not learn how to truly master their craft if they use presets and nothing more on their part. I have taken a handful of the VSCO presets, tweaked them to my liking, and then saved them to use later. There is nothing wrong with using presets as long as more is done on the photographer's part in post. However, I do not believe your photos above do the presets justice. In both, you have done photoshop work, color adjustments, and dodging and burning. With the preset photos, you only applied the preset with a few minor adjustments. The same retouching (removing the hand, retouching the face, etc.) can be done in the photos with the presets applied as well. Just because a VSCO preset is applied, that does not render it useless for further photoshop work. Isn't one of the products you guys sell the SLR Lounge Preset System? I would suggest adding a "Opinion Piece or OpEd" to the title. It's marked as an Opinion piece at the bottom. And as writers, we're encouraged to speak our mind on the posts, regardless of what affiliation the website has with products. It's our way of remaining objective. You may have seen in the past, an opinion post posted, and a day or two later, a counterpoint posted from a different writer on the same topic. You just can't win, can you. Sing the praises of presets and you're just a shill, talk them down and you're a hypocrite. I feel for you guys. Interesting, so we should expect an article on how crappy the Fstopper Presets are soon enough then? Only then will you retain any sort of credibility. Not sure I would consider the SLR Lounge Preset System a 'Simple Preset' system in the same vein as these other ones noted. If you use the SLRL system as it is meant to be used, there are very few 'one click presets', most of them are just shortcuts to slider moves to make the process of getting your image where you want to to be faster. That said, I am a little biased. So take that for what it is worth.